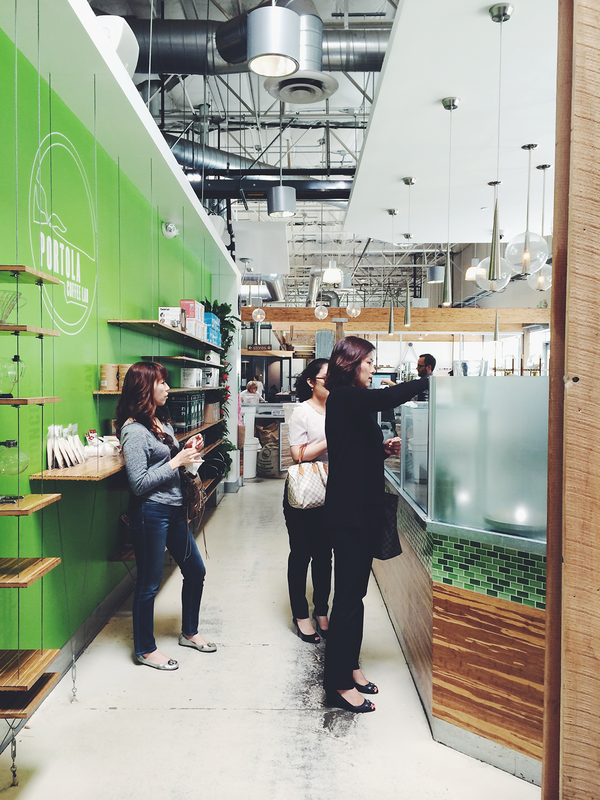 while living in orange county, portola coffee lab’s flagship location at the oc mart mix was my go-to spot. 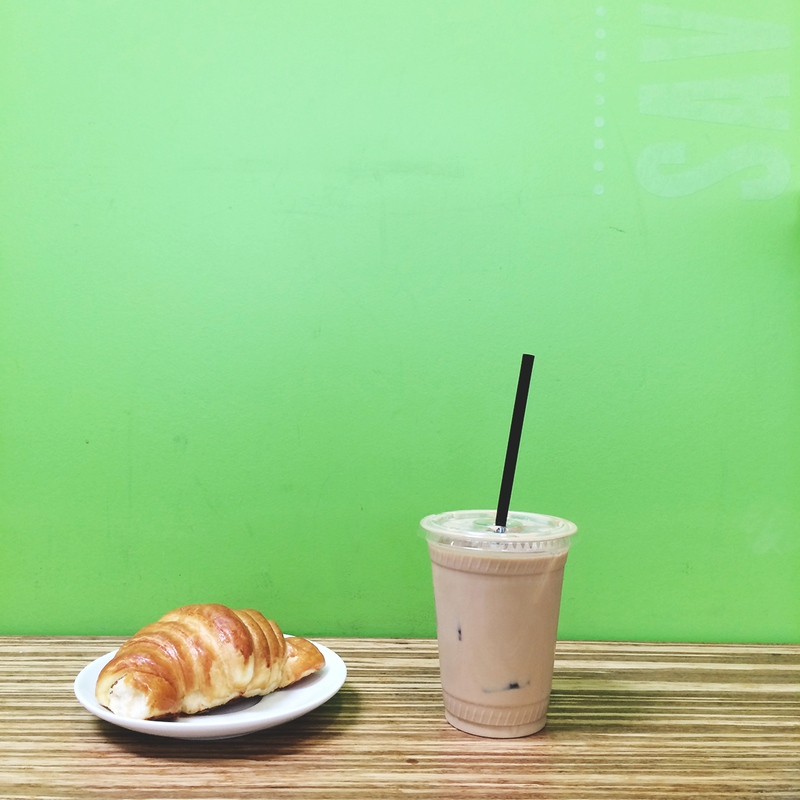 it was one of the first specialty coffee shops i ever visited, and to this day i believe it is one of the best places to grab a cup in in orange county. while the flagship is incredibly stylish and oh-so photogenic, it’s the love and care the owners put into developing the complete coffee experience that keeps me coming back time after time. there’s an undeniable sense of positive energy you’ll feel anytime you visit their mart mix location, and it’s always provided the reboot i needed during my mid-week slumps. if portola hadn’t come into my life in 2011 i don’t think i could have sustained working from home for very long. the space’s beautiful design and delicious coffee kept me inspired, and the space served as the perfect home-office escape for more than 3 years. with friendly baristas and plenty of other digital nomads setting up shop in the mart mix, i felt understood and at home. orange county isn’t exactly the mecca of freelance activity, so finding a place with all the right vibes really impacted the quality of my productivity. the brand’s lab theme is tastefully carried out throughout the entire experience (nothing cheesy to see here). visually, you’ll pick up its cues amongst the glass filled beakers and tubes that make up their mad scientist coffee lab, and you’ll taste those scientific methods at work in their impeccably sourced and roasted coffee. their “pursuit of perfection,” is no joke. 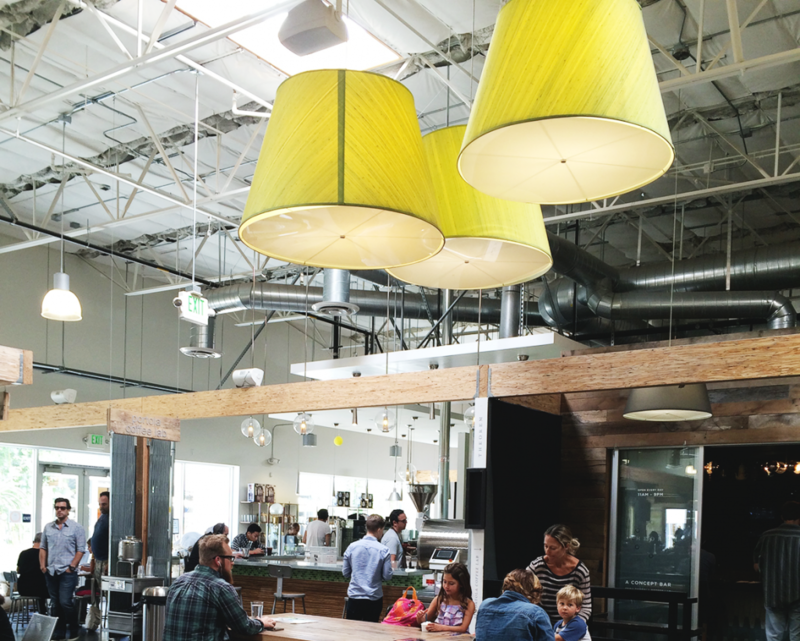 you feel the passion of portola’s owners, jeff and christa duggan, every time you step in & sip in their shop. since this space is nestled inside the oc mart mix you’ll literally find an optimal mix of single and communal seating areas. there are table & counter top seats right next to the shop’s coffee lab (think outlets & productivity galore), couches (friend talk) and other communal tables throughout the space. with a myriad of local boutiques and speciality food spots, this place is perfect for working, eating and meeting. the soco farmer’s market takes place in the oc mart mix parking lot every saturday from 9 – 2 pm. ikea is down the street. may i suggest a day of perusing and coffee? birdie has some of the most amazing healthy treats. think acai bowls and pressed juices. shuck oyster shop. stop here if you love oysters. that’s all you need to know.